Added by thronn on April 8, 2017. Inspired by the popular adidas-sponsored ATP Tennis Tour of the 90s, Skate Copa Court combines the brand’s rich sport heritage and skateboardings’ love of the court. Appropriating courts in 12 key cities around the globe, adidas Skateboarding will highlight local communities and skate shops through creativity and friendly competition. 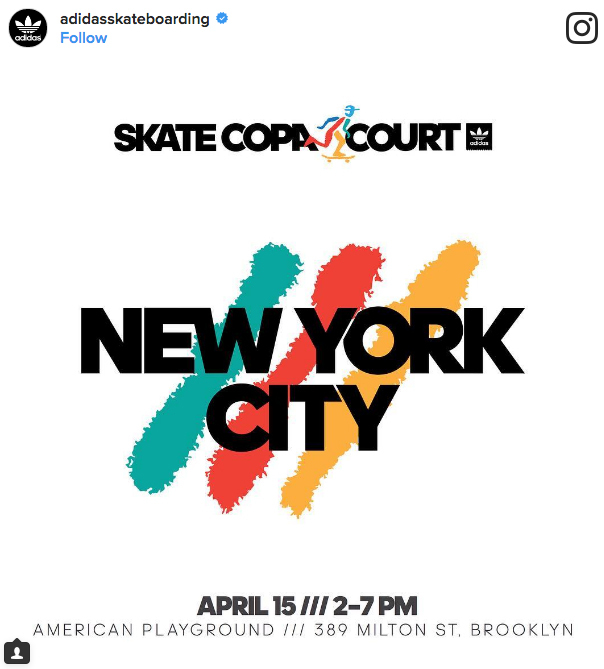 The Skate Copa Court series will kick off on April 15 in the Brooklyn neighborhood of New York City, traveling to Mexico, London, Los Angeles, and Europe eventually making stops in Buenos Aires and Tokyo. The premiere events will feature team demos from the brand’s roster of skateboarders; an open skate shop jam that invites participating local skate shops skating together for cash prizes; an “adidas Blackbird Best Trick Contest”, which offers additional cash prizes for the participating skate shops; and an open skate jam for pro riders, skate shop teams, and the local community to skate the unique obstacles. The obstacles will feature custom artwork from hand-selected local artists of each market and will be donated to the community for locals to enjoy after the events. Encouraging innovation and originality for the next generation of skaters, the “adidas Blackbird Best Trick Contest” features a unique ‘Blackbird’ obstacle that is designed under the creative direction of select adidas team riders for different cities where the series is being held. 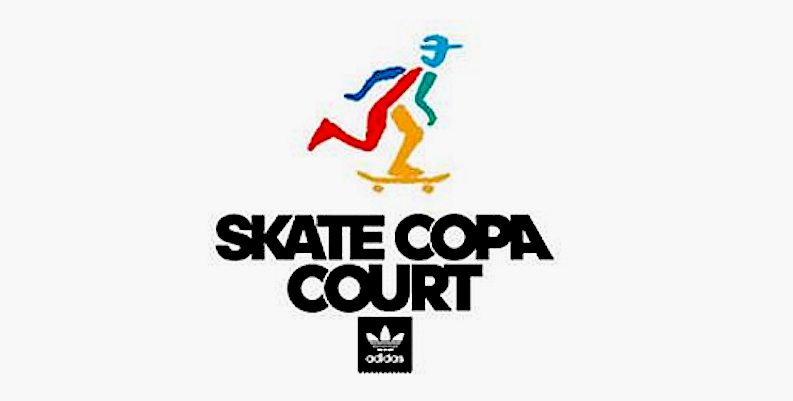 The Skate Copa Court series will be the third installment of adidas Skateboarding’s annual Skate Copa skate shop competition. The event series went global in just its second year after a successful inaugural run, proving that the appetite for originality, creativity and innovation within skate is strong and thriving.